N.B. I often use Uniq Moscatel vinegar for this recipe, which is quite sweet, and therefore don't add any sugar. Season the onions and fry in the oil until soft. Add the celery and fry for a further 3-5 minutes. Add the tomatoes and simmer until the sauce has thickened a little. Add the olives, capers, sugar and vinegar and simmer gently for 20 minutes. Meanwhile, season the aubergine chunks, toss in a little olive oil and roast at 200C/180C for about 20 minutes or until golden. 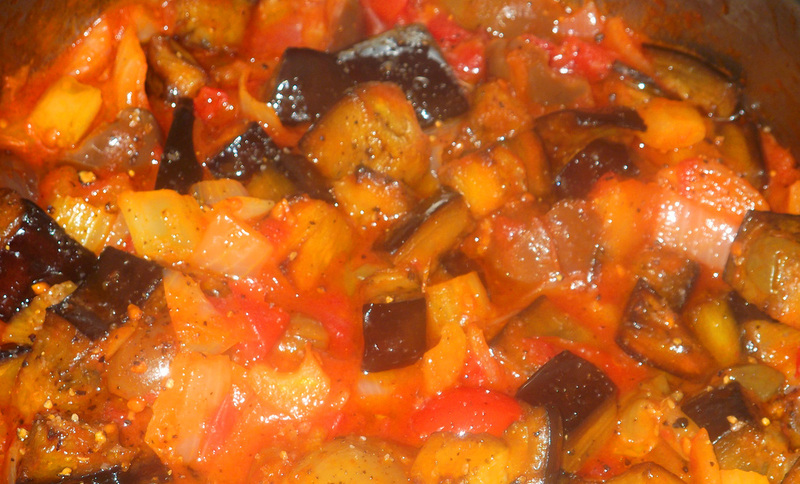 Stir into the rest of the caponata and check for seasoning. Allow to cool. If not eating within a day or so, store in the fridge in a sterilised jar, topped off with olive oil to cover.